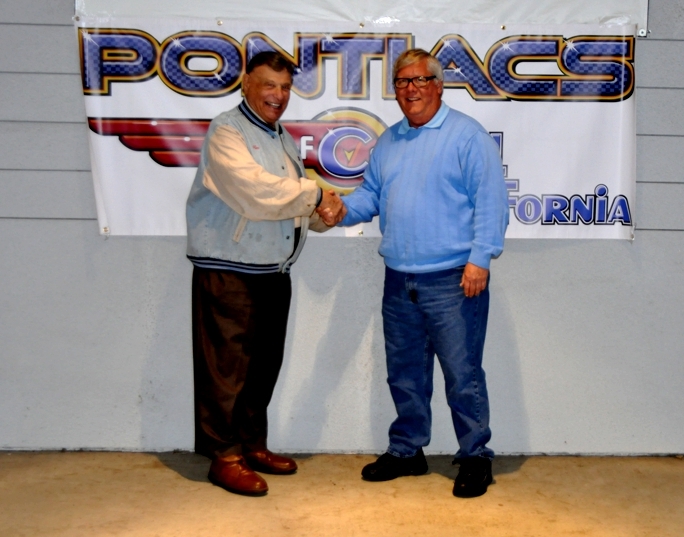 The 2014 Central Valley Classic was held on April 25-26! 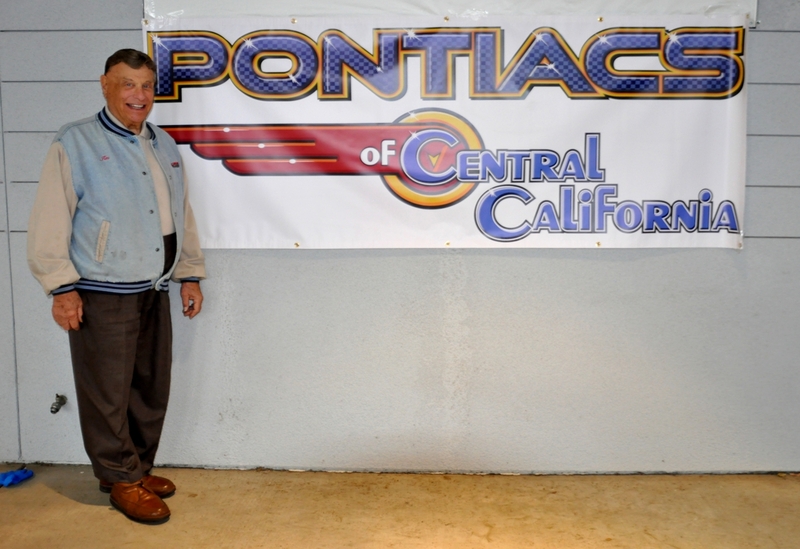 Friday the 25th we were treated to great hamburgers and hot dogs thanks to Gill Buick, Cadillac, GMC of Madera! The Friday night BBQ has been a delicious tradition of our show for many years, and after the loss of Don and Wendy Bonander we want to thank Gill Buick for stepping to the plate and filling it with great hamburgers and hot dogs! But this year the weather was not our friend! The skies threatened all day, during which they produced many showers. During the BBQ, the skies opened up and poured down in buckets! Thankfully Gill has us under a great cover for the BBQ, so those many hearty souls that made it out, we enjoyed the great food without worrying about getting wet. Unfortunately, the rain continued for most of the night and into the very early morning. The wet weather kept many away from our show, but the weather cleared and the show was held under cool and breezy, but clearing skies. Somehow we still managed 50 cars on the show field! Certainly not what we wanted, and not near our average of 80-90 cars, but given the weather, still a good show. 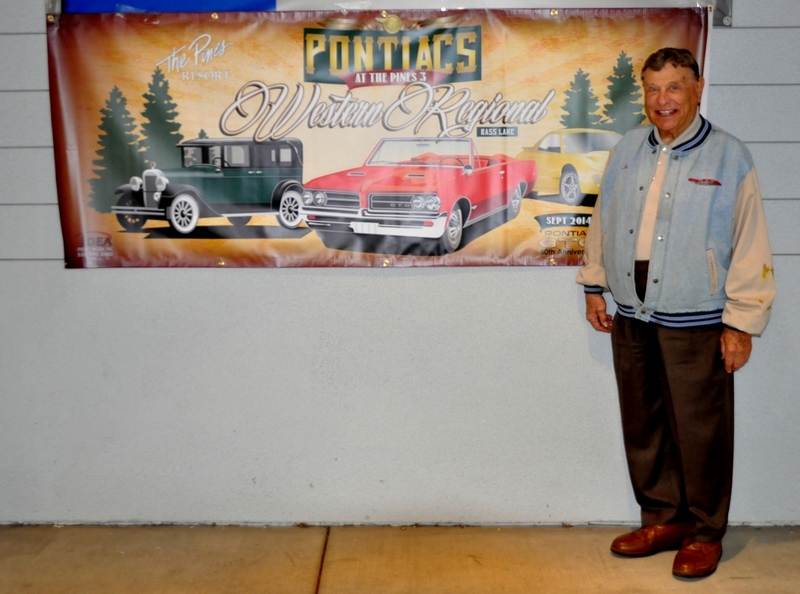 We want to thank Mr. Jim Wangers for again honoring us with his presence at our show. What he adds to our show cannot be measured! Actually, wouldn't you love to! But would you buy a used car from this person?? Real men eat Bonneville burgers! Last updated: March 14, 2015.